It was during Diane von Furstenberg's time working at Italian textile designer Angelo Ferretti's factory that she discovered a passion for print. 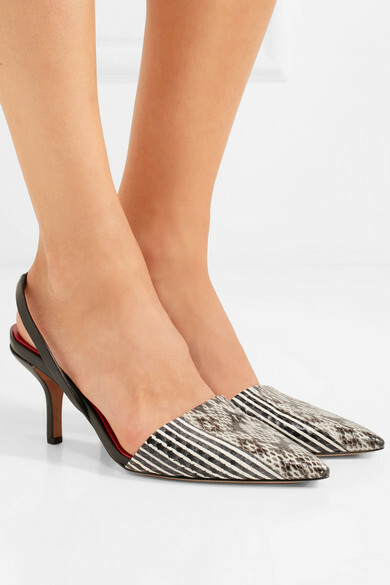 Reflecting the designer's eye for pattern, these slingback pumps are made from supple snake-effect leather with a striped pointy toe. 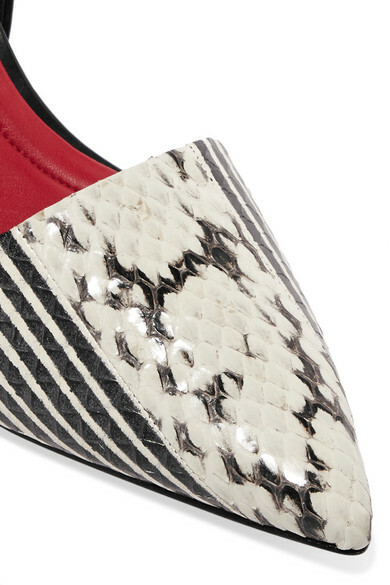 If you love the comfort and wearability of a kitten heel, then invest in the white pair, too. Shown here with: Theory Top, REJINA PYO Skirt, Marni Tote, Rosantica Earrings.